iClone now comes fully equipped with Nvidia's Iray render engine capable of high fidelity photo-realism; Making it possible to render animations and simulate real-world physics-based interactions between lights and materials. For more information, click Here. For visiting Iray for iClone's Forum, please click Here. 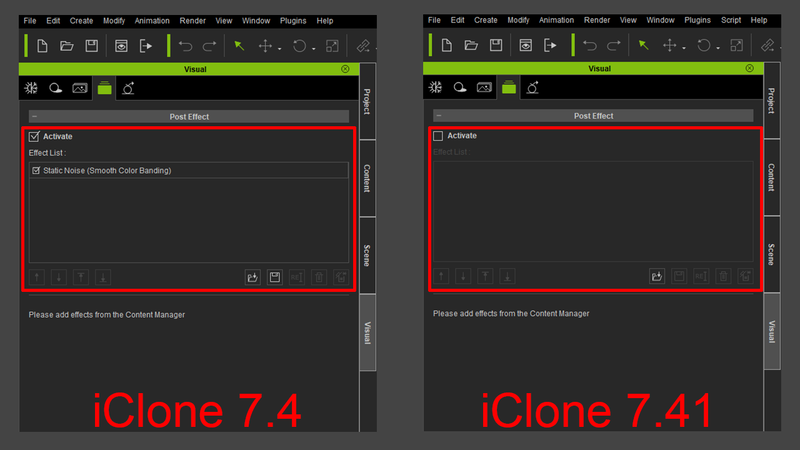 For more details about iClone 7.41, please check out its Release Note. 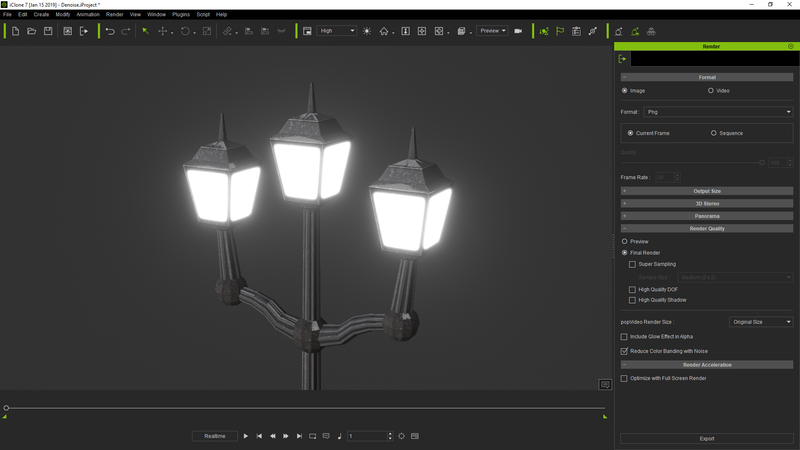 For more details about 3Dxchange 7.4, please check out its Release Note. In order to improve iClone's overall performance, we have provided a Minimal mode as a preference option. 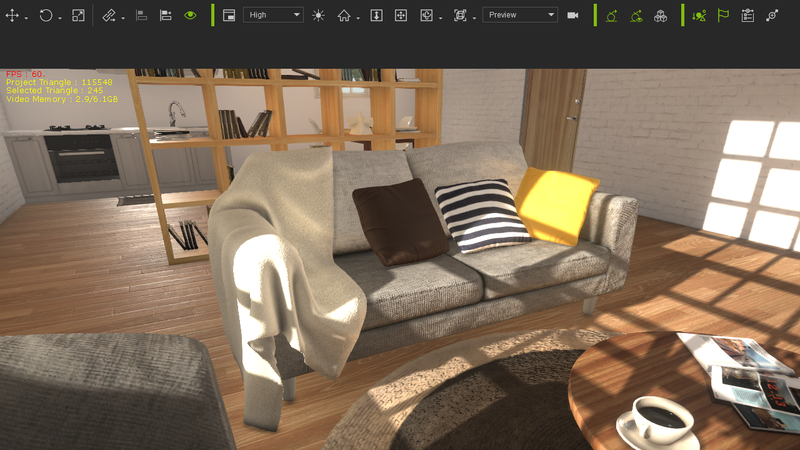 The Minimal mode can release the entire texture memory allocated in iClone's viewport, allowing Iray to utilize the most GPU memory for speeding up rendering. Toggle from the toolbar or the drop-down list from preferences. This mode decreases Vram usage to the bare minimal. Reduces iClone max texture sizes to 1 pixel. Deactivates all real-time render effects. 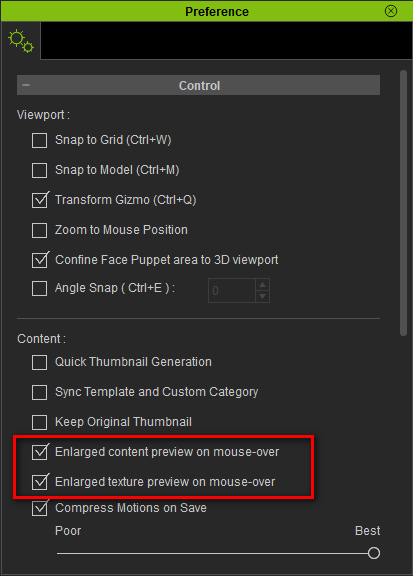 New preference option to show enlarged content/texture preview on mouse-over. The enlarge content/texture preview on mouse-over is by default ON. Accelerate Render Speeds up to 6X with Full-Screen Render. 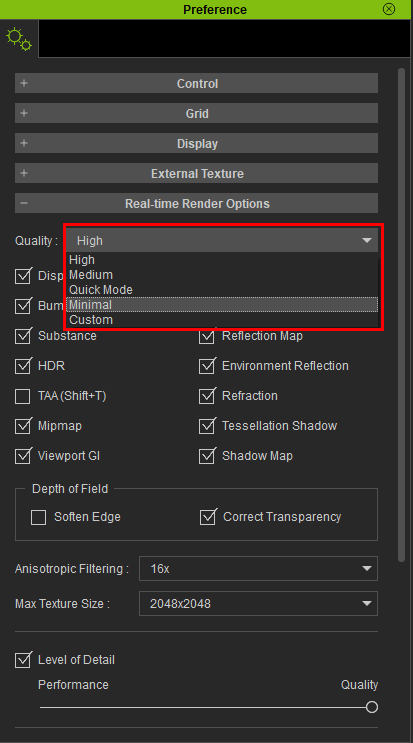 Full Screen Render in the iClone render panel can improve render times by forcing the render to expand to full-screen. The smaller your iClone render viewport is, the more evident the speed improvements become. 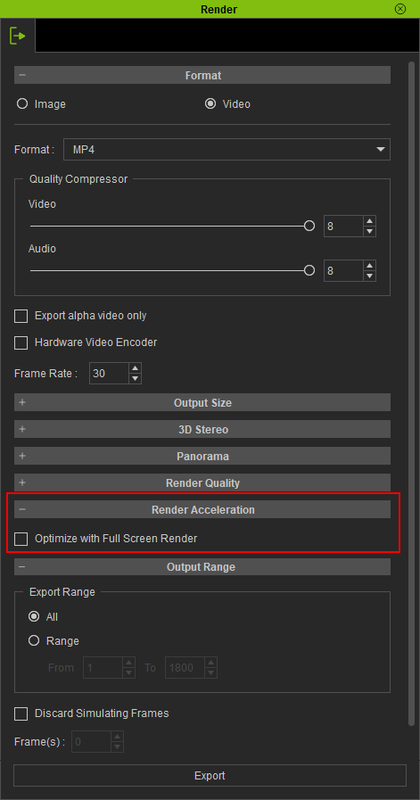 You can access this option under Render (Panel) > Render Acceleration (Section). Full path: Render > Render Acceleration > Optimize with Full-Screen Render (default: Off). 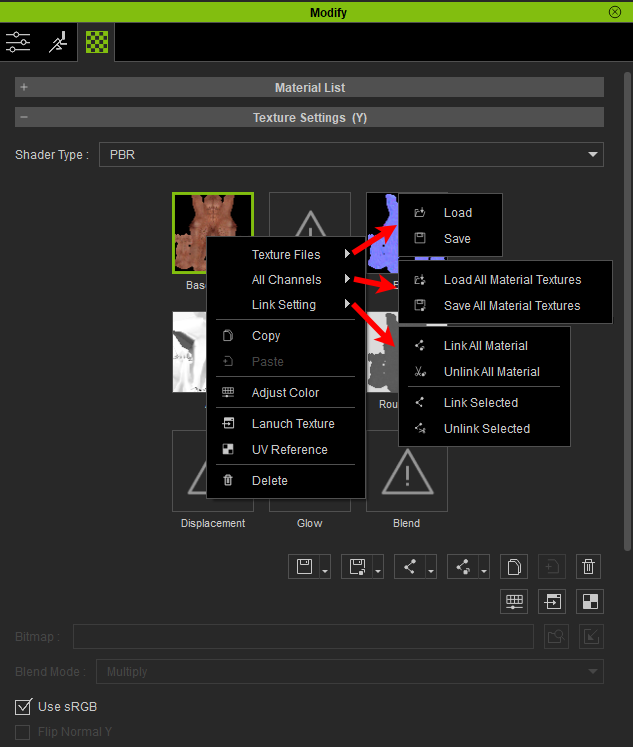 Additional Functions in Material Texture Channel Settings for Added Convenience. 1. The right-mouse-button context menu for the material channels now incorporates all of the original texture functionalities, such as File, All Material Texture File, Link Setting. 2. New texture channel Copy/Paste functionalities can be used across the different material channels and support multiple materials. Multiple material texture channel copying and pasting. Textures support drag and drop between the different material channels. Ctrl+Drag can be used to duplicate characters while retaining their motions, constraints, attributes, and shared texture connections. If you have not selected a frame range from the Collect Clip region, then saving a motion will use the frame range designated by Mark In/Out. 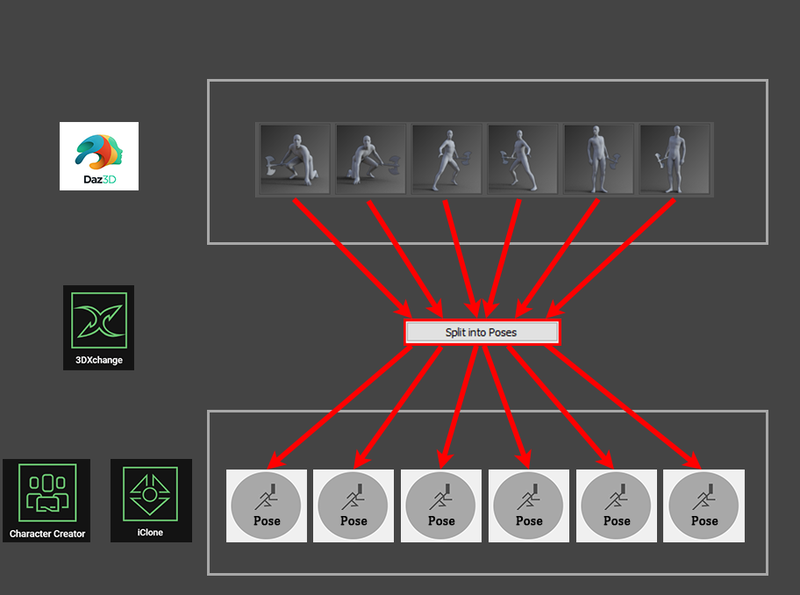 This functionality is applicable to the following formats: Motion, Motionplus, Expression, and Gesture. Due to the addition of the static noise post effect for iClone 7.3, exported images with alpha included (ex: png, tga, etc.) 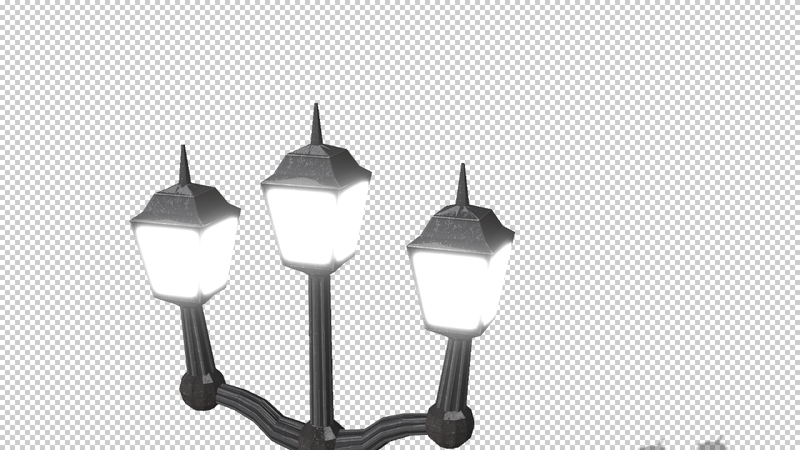 tended to have dirtied backdrops or blocky artifacts. Therefore the Visual (Panel) > Post Effect > Static Noise (Smooth Color Banding) .iEffect was removed from the Default Project and Clone Render (Panel) > Render Quality has added two additional check-boxes. When activated, the glow effect is included in the alpha channel. By default, this option is disabled. This option can be enabled to include the glow effect in the background for the likes of characters. Disable this option if you want a crisp clear backdrop. 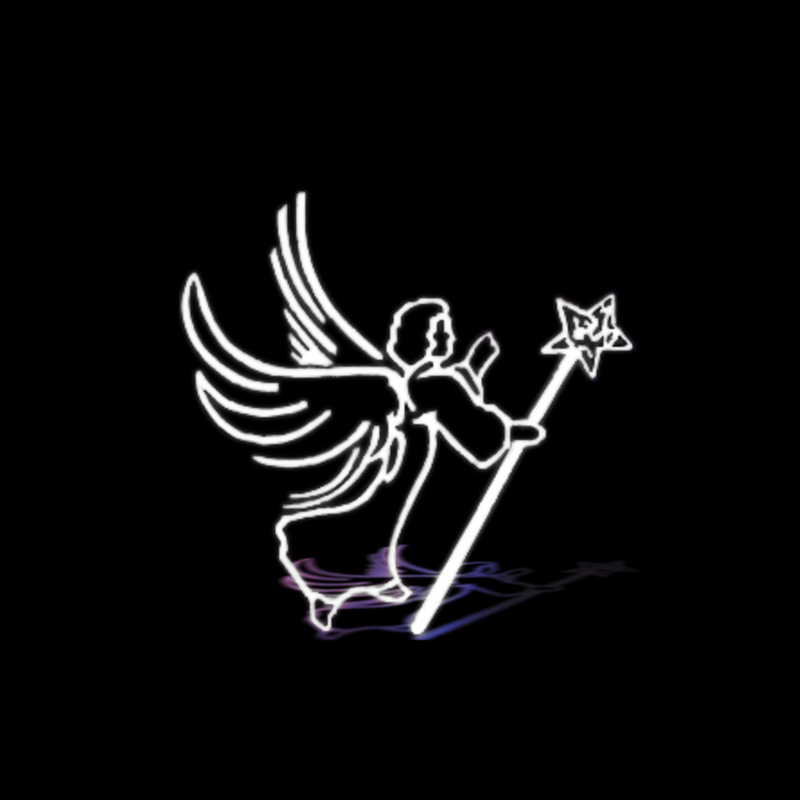 Note: In order to see the glow clearly, the image above is layered onto a black background and does not resemble the actual rendered image. 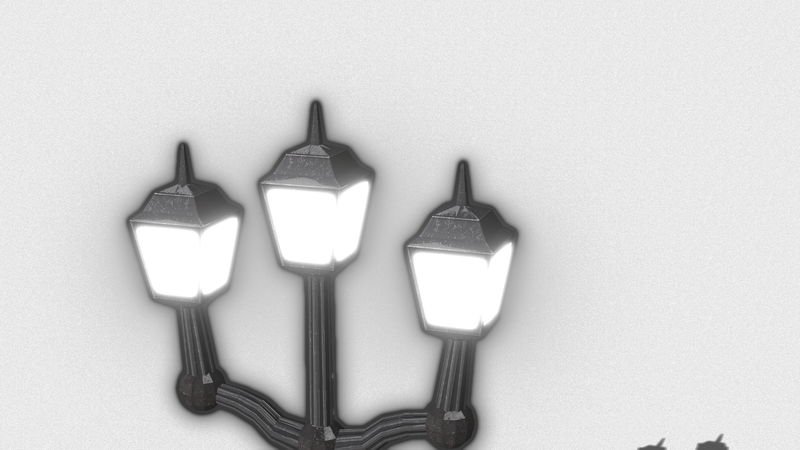 The Static Noise (Smooth Color Banding) post effect has been removed from the Default Project. 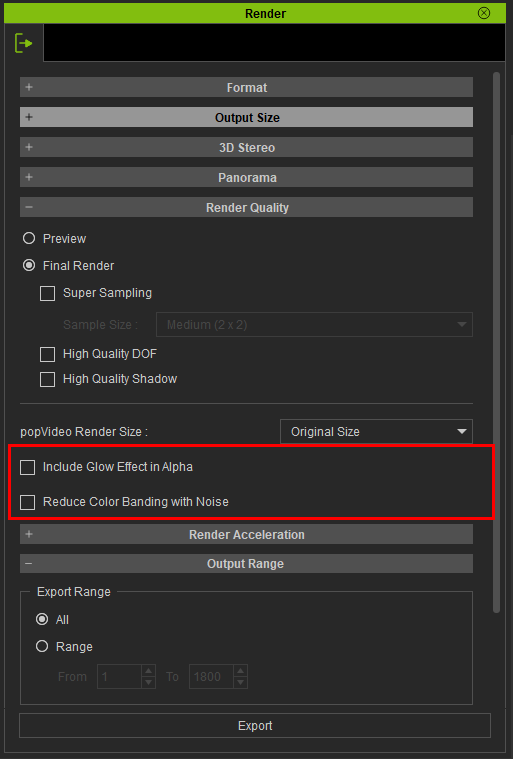 This option has been relocated to Render > Reduce Color Banding with Noise. When enabled, this function will add a static noise effect. By default, this option is OFF. This function is used to remove color banding. Note: Color banding in the example above was enhanced for better observation. 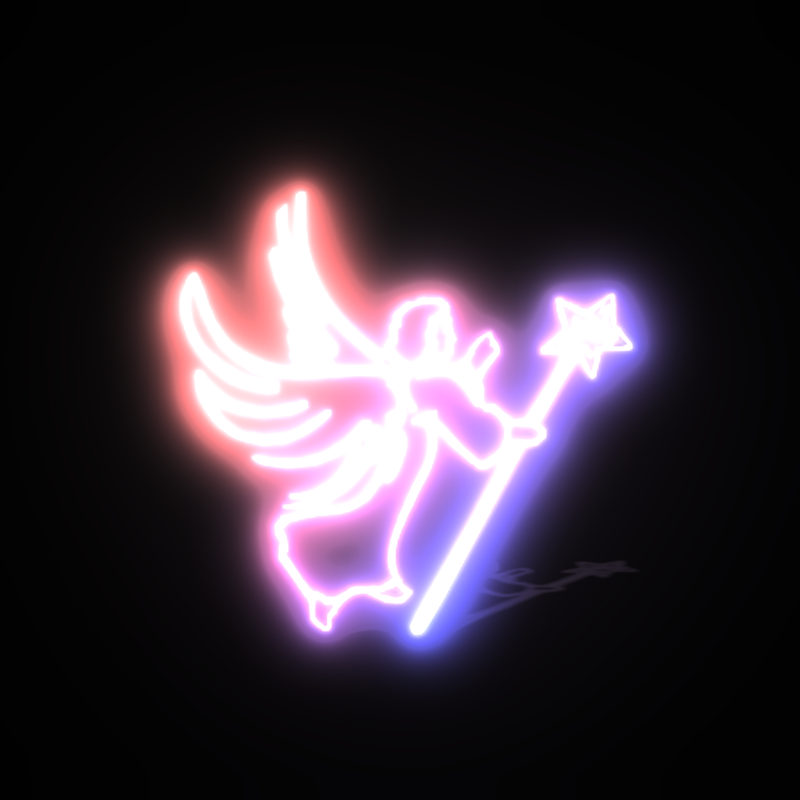 Important: An image exported with both Include Glow Effect in Alpha and Reduce Color Banding with Noise set to on will include a glowing noise backdrop. You should turn both options off to achieve a clean and clear background. New Split into Poses function can be used to bring Daz poses quickly into iClone and Character Creator. Once multiple poses are strung together in a single FBX motion file, one can utilize 3DXchange 7.4 Split into Poses functionality to break it up into RL motion still frames. 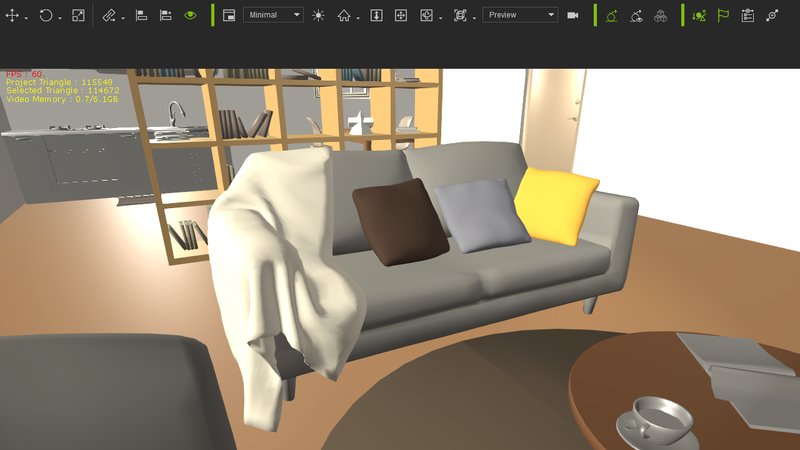 Updated 3DXchange 7 BVH and FBX profiles for Daz G2, G3, G8 motions. The primary purpose is to bring Daz motion into iClone via the .bvh and .fbx format and still have the motions match. 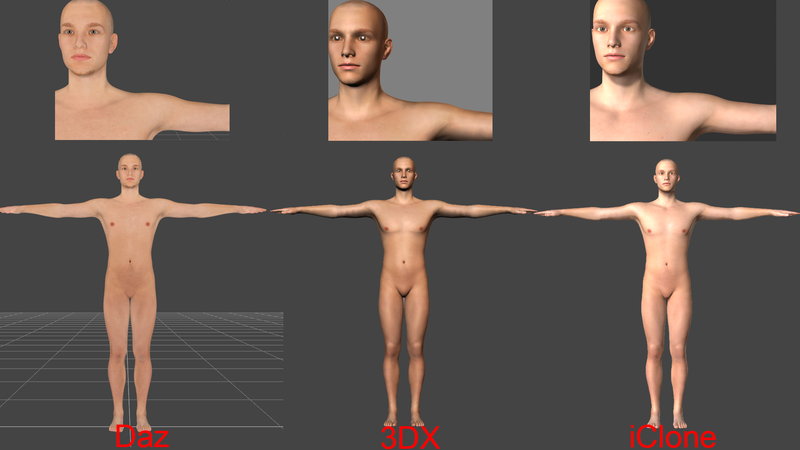 Fixed different generations of Daz based profiles like G2, G3, and G8 in 3DXchange such as initial shoulder and thumb positioning for the T-pose. The program will designate the use of the correct .fbxProfile according to the data within the file.